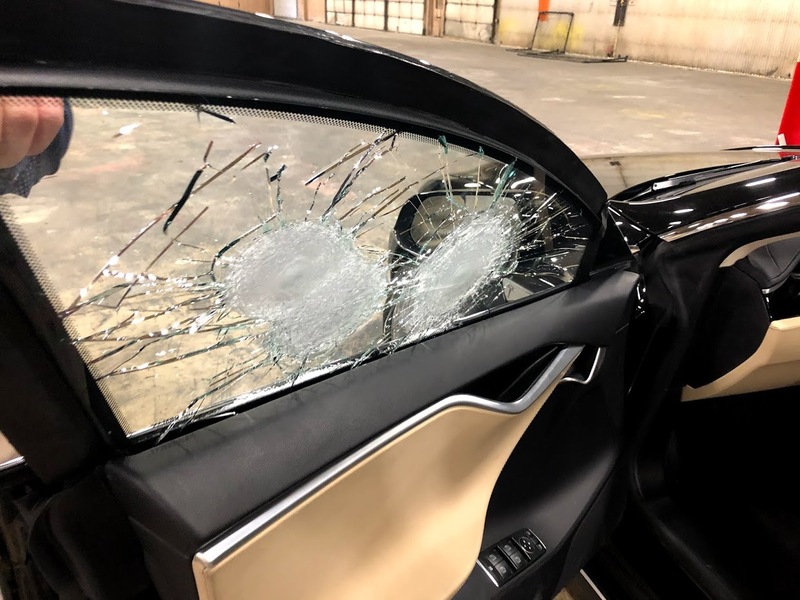 Can a Tesla be made bulletproof? Armormax a custom armoring manufacturer based in Utah with facilities around the world worked with Zack over at Jerry Rig Everything who runs a popular YouTube channel showing how durable phones and a variety of products are. 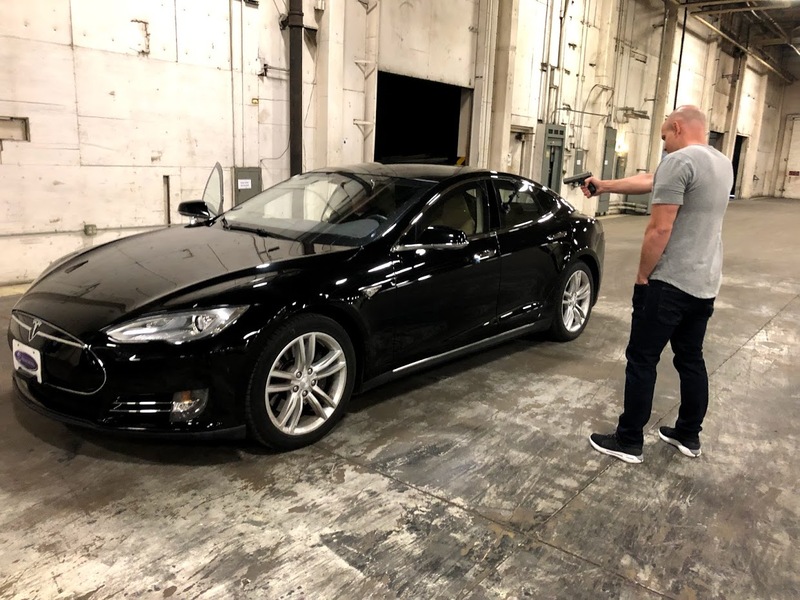 He visited our facility and wanted to put our latest armored Tesla through the test, just to see what the latest bulletproof Tesla could do. 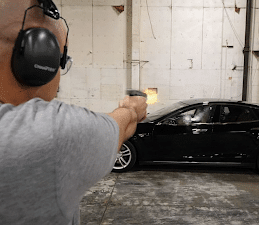 Shooting at a Tesla Model S – the big day! We invited the famous Tesla “Starman” to join this event. He obliged. He was taking a break from his outer space Tesla Roadster travels to see the latest Armormax armored Tesla be tested by “Jerry Rig Everything”. The latest Armormax Tesla is equipped to handle most armed threats. This armored Tesla Model S is equipped with complete passenger cabin protection. The front windows remain operable, even though driving with them down is not recommended. Armormax offered Jerry Rig Everything to shoot at, scratch and anything else he wanted to do that would show the capabilities of the vehicle. The vehicle glass would later be replaced before delivery to the end user. 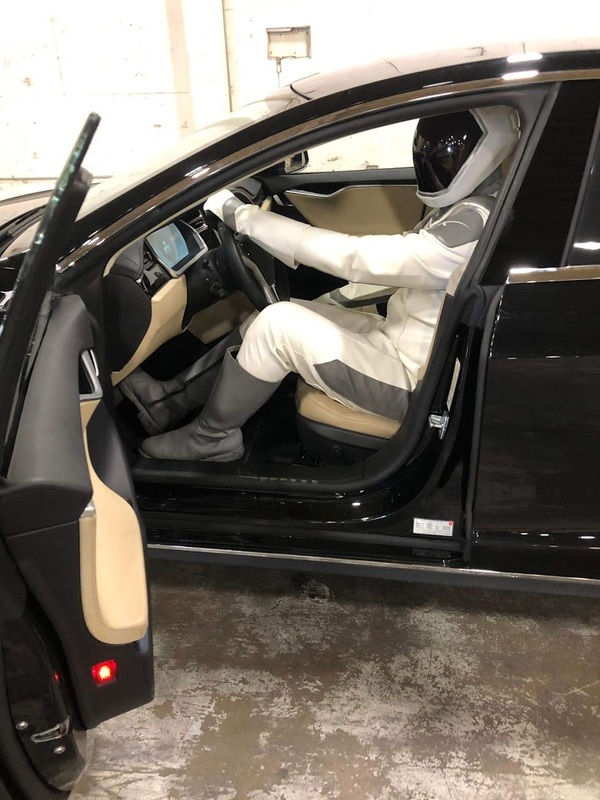 It was an honor for us to have Eli aka “Starman” from My Tesla Adventure to join us in the science and technology on Armormax’s latest armored Tesla. 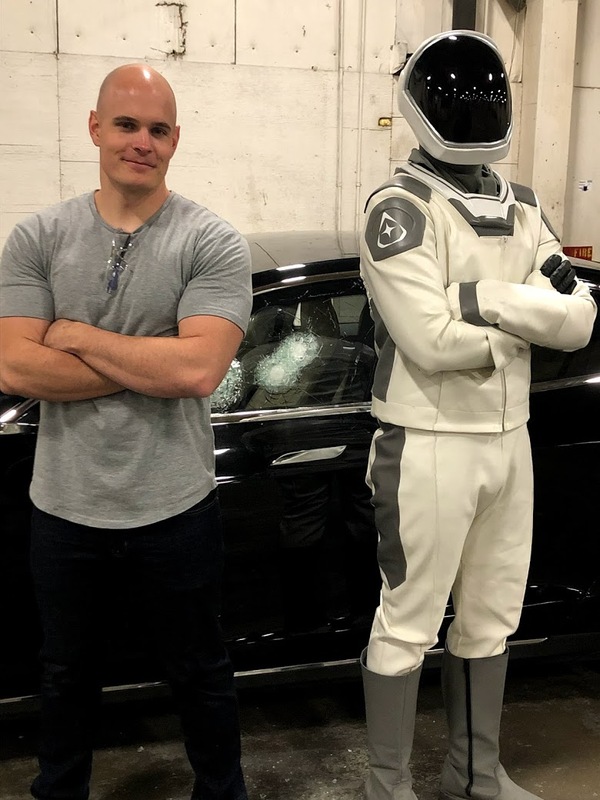 Starman is part of the “My Tesla Adventure” community where their mission is to bring Tesla Owners and enthusiasts from all over the world to have fun and discuss their electric mission. #MyTeslaAdventure. The technology: The armored glass is made up of multiple layers of hardened glass, acrylic plastic and polycarbonate sealed through the autoclave. The armored glass is designed to absorb and disperse energy from gun rounds. While the glass is able to curve and keeps its’ original appearance, it is anything but original. The Armormax glass ranges anywhere from ½ inch in thickness to over 3 inches depending on the desired level of protection and what a potential threat could be. 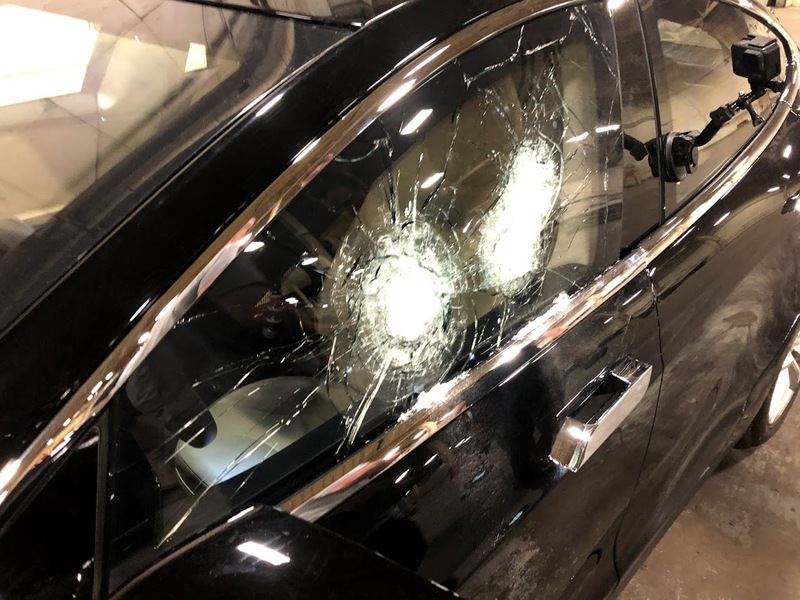 The idea in bulletproofing is to stop any would attackers and provide the passengers with more “peace of mind” then they might otherwise receive in a “un” armored vehicle. Armormax has worked with other Youtubers from the Waterjet Channel to What’s Inside showing anything from how their runflats work to selling bulletproof armored backpack inserts. If you are interested in having these products for yourself please call us today at 801-393-1075.